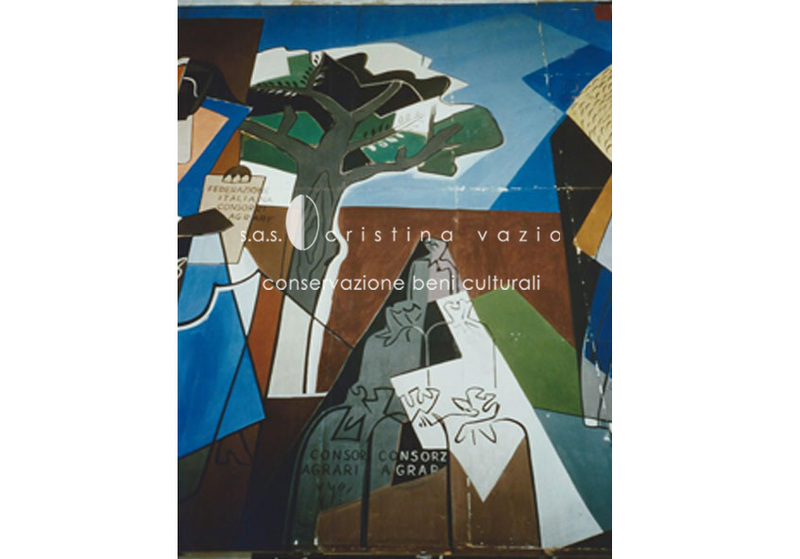 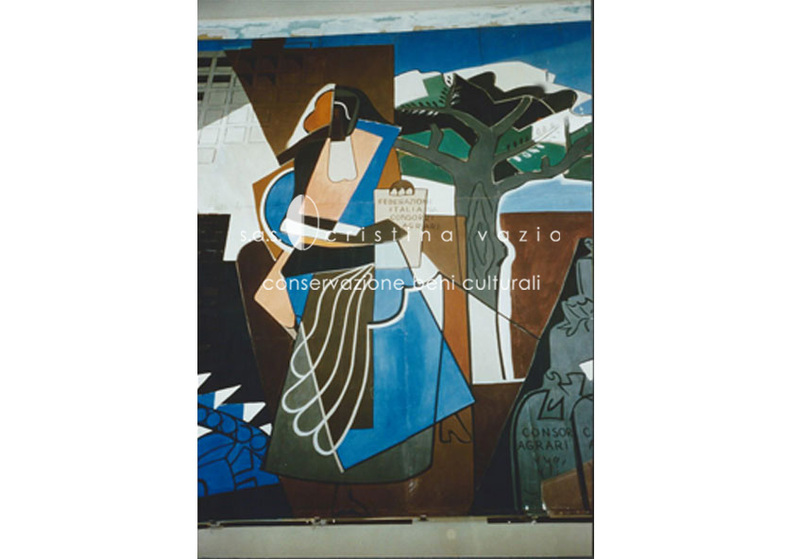 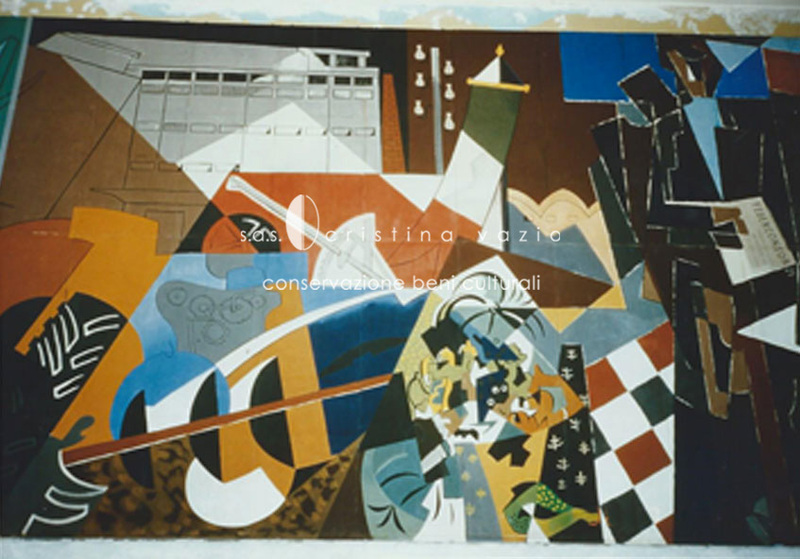 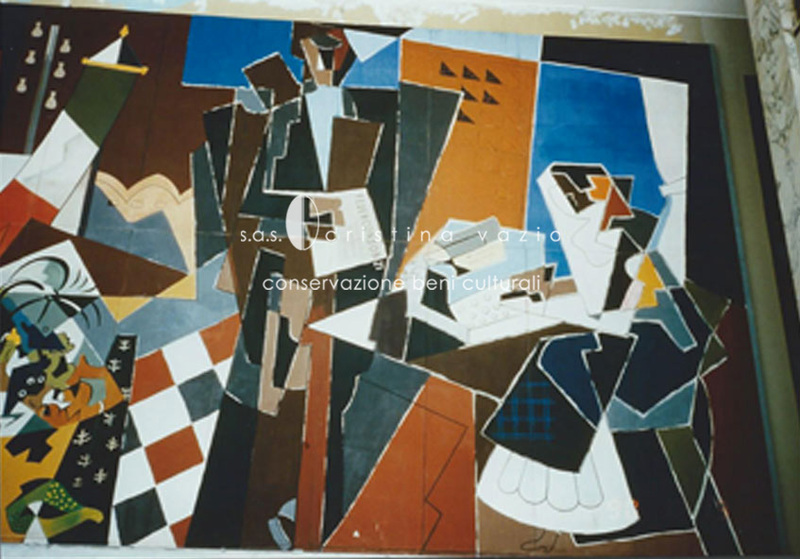 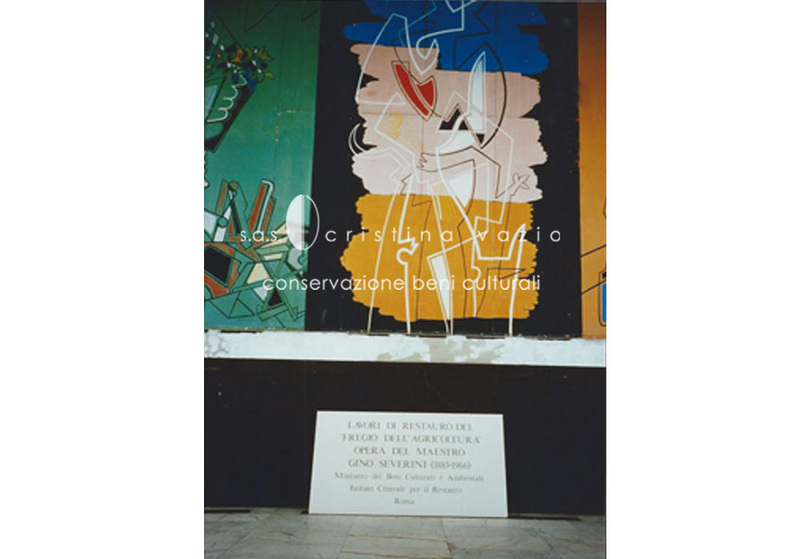 Gino Severini painted the Agriculture Frieze in the Palazzo delle Esposizioni in the Eur district of Rome on the occasion of the Agriculture Exhibition which took place in 1951. 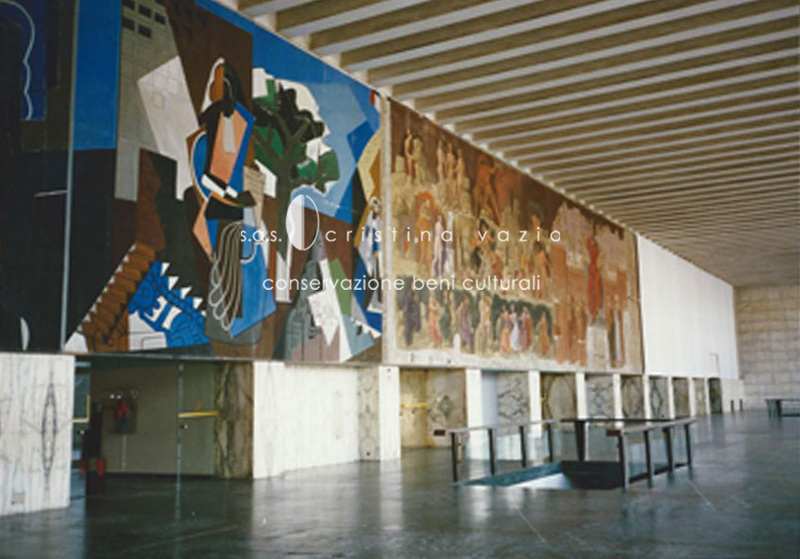 The frieze is painted on masonite panels and the themes span from agricultural chemistry to typologies of regional costume. 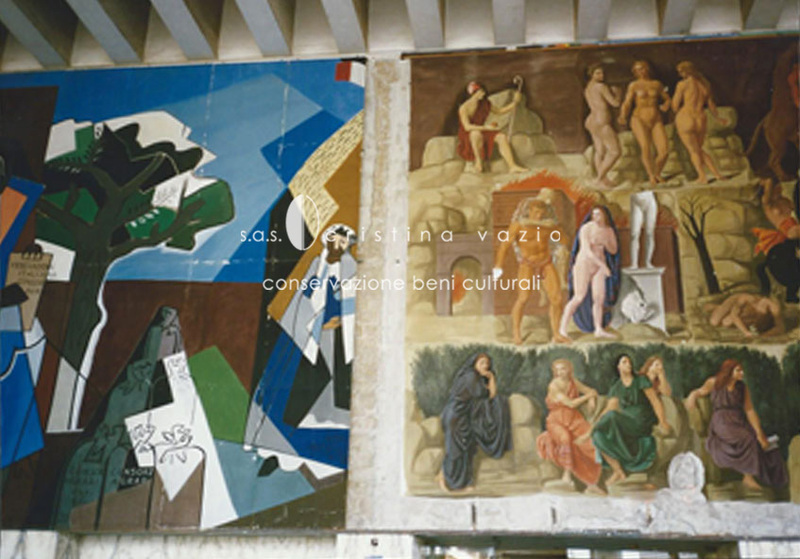 Below the frieze, there is a fresco started by Achille Funi in 1943 that was interrupted during German occupation and left unfinished. 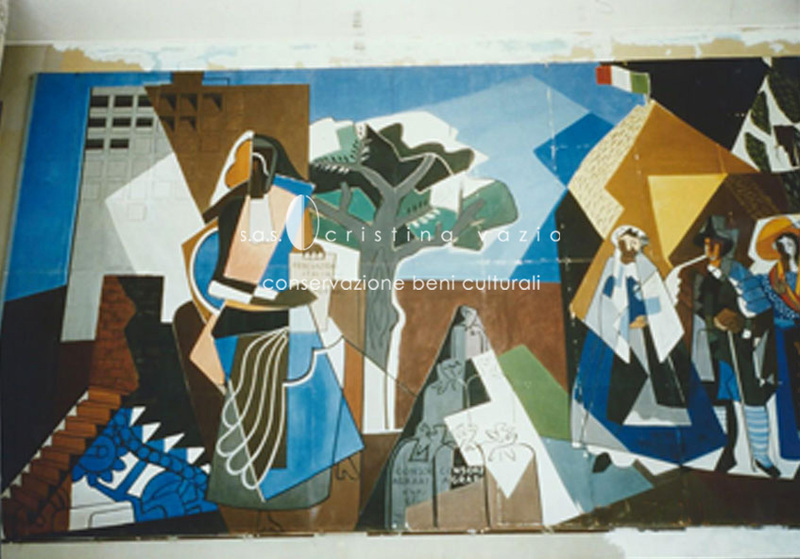 Restoration works (realized in ATI, see CV attached) involved the fresco and the masonite panels of the frieze. 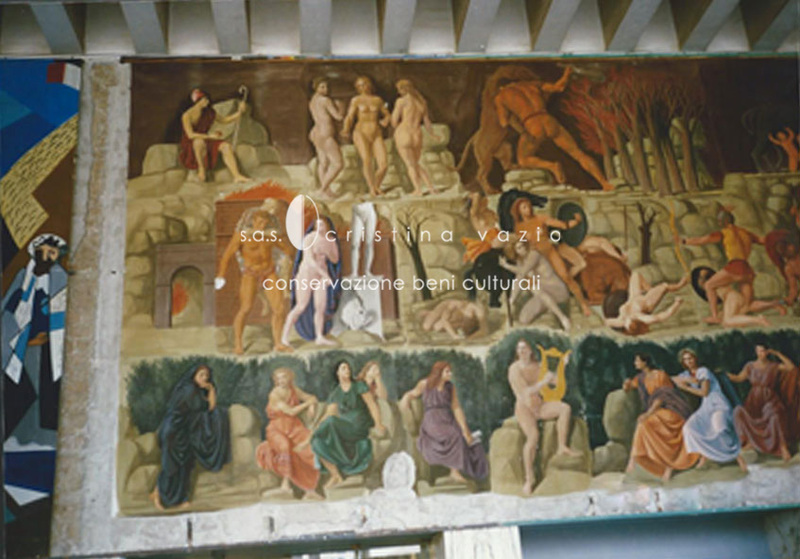 For the fresco, which is normally covered, a sliding window system was implemented to allow for the investigation and the observation of the fresco at any time. 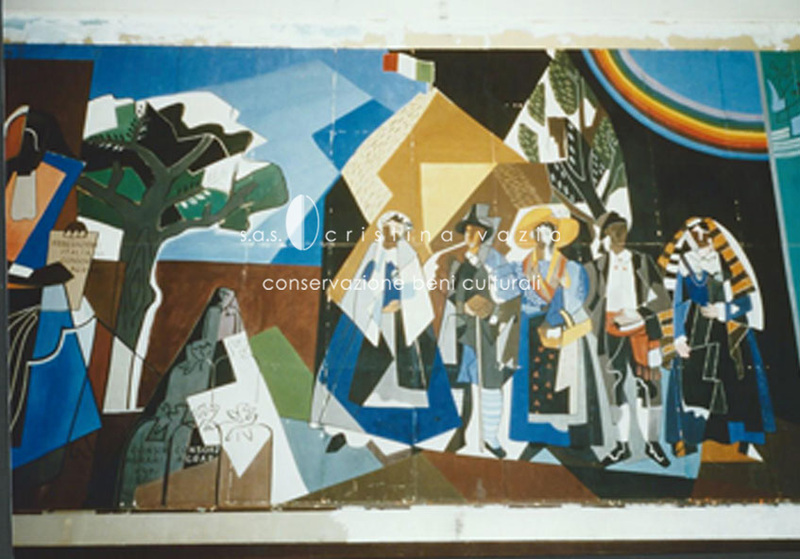 All the panels have been disassembled, restored, and then reassembled on the walls.